At NTT, we understand employers’ expectations when they invest in safety training of their crew. To ensure our client’s return on investment, NTT offers Certification and NTT Qualification. Training Courses that prepare students for certification by NICET, OSHA or other Industry Standards. NTT has years of experience in partnering with our clients to help them qualify their electrical workers and supervisors. Our unique process builds on traditional electrical safety training and takes it to the hands-on practical application of skills required for compliance with both OSHA and NFPA 70E (2012 edition). In NTT classes electrical workers and supervisors undergo safety training and knowledge testing while NTT provides employers a documented and defensible track record of the process. Electrical Qualification requires both the employee and employer to work in concert. Employees must demonstrate both knowledge and safe technique. Employers must evaluate and document employee demonstrations. This means your training needs to be hands-on. To accomplish this you NTT’s hands-on courses can either use NTT’s equipment or your own. Call us to discuss the Qualification process and how NTT can help you create a sustainable Electrical Safe Work Program (ESWP). NICET Level I is for trainees and entry-level technicians who perform limited job tasks under frequent supervision. NICET Level II is for technicians who perform routine tasks under general daily supervision. NTT’s class is also helpful to personnel working in the fire alarm industry who engage in a combination of fire alarm system activities including layout, equipment selection, installation, acceptance testing, troubleshooting and servicing. NTT’s test-pre class of course also prepares you for the NICET Certification exams. You will learn test-taking strategies by reviewing reference materials needed to maximize the NICET test experience. Welder certification training and testing is also available through NTT. Getting your welding operators certified to national standards will not only get your shop up to code, but also provide your welding personnel with greater confidence in knowing they are getting the job done right. This process also gives you some peace of mind, as many welding applications present great liability risk! There are many welding codes covering a variety of welding applications. NTT can help you determine what welding code you will need to qualify your welders to, and get the proper weld procedures written or use those you already have on file. Most testing normally falls under the American Welding Society, AWS D1.1 Structural Welding Code – Steel, and the American Society of Mechanical Engineers, ASME Section IX Pressure Vessel Code. Each welding process (SMAW, GMAW, GTAW, etc.) and each material group (carbon steel, stainless steel, aluminum, etc.) requires separate testing and qualification, as structural and pipe welding are different qualification. All NTT hands-on Lab welding training and testing is done at your house. As you can imagine, this is a highly customized training and certification testing process. Please call us to discuss your needs and objectives for getting your welders certified. NOTE: Welder certification is a hands-on shop activity. This is not an option for classes you attend at “our house” (hotel conference centers just aren’t good places to strike an arc unfortunately). This said, read more about our welding training course options by clicking here . We can of course also bring the welding training to your house. For back flow certification you have options: ABPA or ASSE – and you can get both from NTT. The course will use the Field Test Procedures provided by the ABPA using the five valve configured testing methodology for the Pressure Vacuum Breaker, Spill-Resistant Vacuum Breaker, Double Check Valve and Reduced Pressure Assembly. Written exam requires a 70% or better score for passing. The written exam consists of 100 very tough multiple choice questions. The Practical exam includes demonstrating the test procedures for each of the assemblies and identifying failures or problems that may exist in any or all of the assemblies. The student must then compensate for the problems to the extent that the test procedure allows. Test results and identification of problem and solution must be recorded properly. Become an IFPS -Certified Mobile Hydraulic Mechanic. NTT can deliver your test-prep. The IFPS – International Fluid Power Society certification is recognized world-wide, and NTT can prep you at your house, world-wide. In 2014 NTT will be launching several IFPS certification courses. The first will be the IFPS MHM Job Performance. 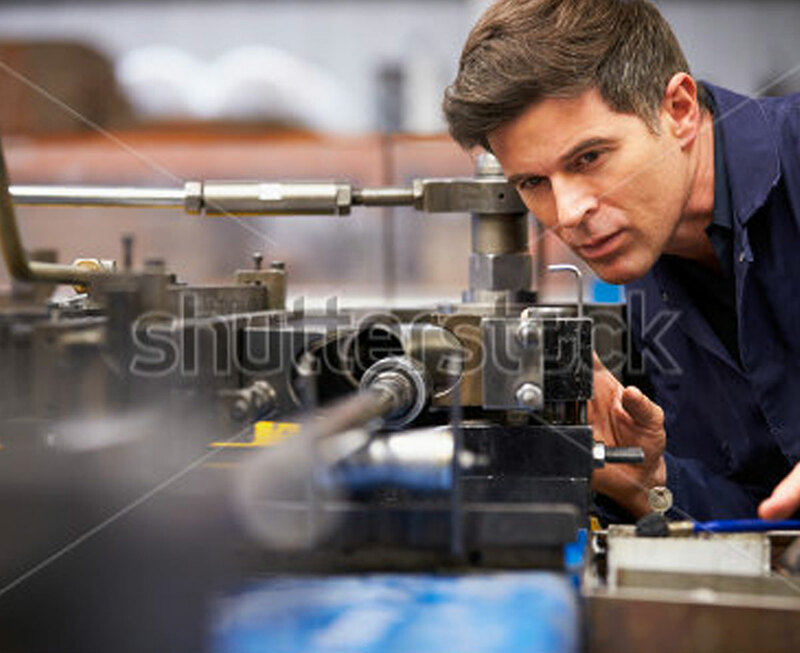 LAB – “Hands-On Test”: This portion of the test is proctored in your NTT class. Call us today to discuss this and other fluid power training and certifications needs. Become a CFOT® -Certified Fiber Optic Technician: a nationally recognized certification from the Fiber Optic Association, and now available through NTT. Not just for phone companies anymore, this certification is respected by electrical and IT managers everywhere because it delivers confidence their people understand design considerations, specification requirements, proper installation & test procedures and safety requirements when working with fiber optics in their facility. This saves time & money on installations, testing & troubleshooting in the event of a failure. NTT’s lab-based, hands-on training is recognized by the FOA as a course that teaches the design, installation, testing, and troubleshooting of fiber optic networks. Click here to review the training options and schedule of courses. The EPA does not require R-410A training or certification. Some HVAC system manufacturers require it for their contractor/dealers before they will supply R-410A compatible equipment to them. It is not a legal requirement, only a manufacturer’s policy. We have the ESCO R-410A certification tests available for students to take in lieu of the EPA 608 Clean Air Act exam if they are already EPA certified. 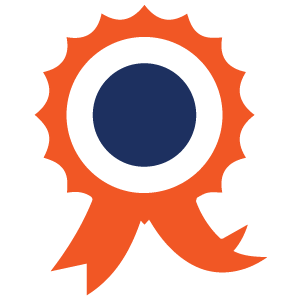 We also have the ESCO Service Excellence Certification tests available, which is similar to the NATE test. The EPA is not mandating the use of R-410A. They are mandating that R-22 can no longer be used in new equipment in 2010, and production of R-22 will cease in 2020. Manufacturers must use alternative refrigerants, and so far, most of them are choosing R-134A or R-410A. However, R-407C is being used in many roof top units and other refrigerants as well depending on the application. The instructor takes about an hour each day (two hours during the course of the class) to review for the EPA 608 test. For on-sites, the EPA 608 test is given to students who want to take it during the last two hours of the seminar (typically does not run beyond the normal seminar end time). The EPA 608 test is offered in HVAC, AC-only, and Chilled Water System courses. Other optional tests include EPA 609 for motor vehicle AC, R-410A and HVAC Excellence Certification. Each additional test will require more prep time and more test taking time than listed above. In layman’s terms, an arc flash is the rapid release of energy (think of an explosion) that can get up to 35,000degrees F (that’s hotter than the surface of the sun!). To protect workers, OSHA rule 1910:331-335 states that every person working on, near, or around voltages of greater than 50V need Electrical Safety training. NTT’s electrical safety training is based on the 2012 NFPA 70E, a safe work standard that is updated every 3 years (next update cycle is 2015) that does address training and retraining needs, and does meet OSHA requirements. NTT’s NFPA 70E Arc Flash training is Qualified Person oriented and an integrated part of NTT’s hands-on lab course options (See Hands-on Practical Skills training section). This is the required foundation for customized Electrical Safety Qualification Event training. NTT also has Electrical Safety AWARENESS for your non-qualified person training needs. Talk to your Sales Representative to determine the right mix for your company. How many of your people “know what to do”, but don’t know why to do it that way, or how to do it safely? NTT’s equipment connects the dots from theory to the practical doing of routine tasks your workers do every day. With over 10 hands-on electrical labs to choose from, courses can be combined with NFPA 70E Arc Flash electrical Safety training for a customized Qualified Person oriented training. Electrical Safety Practical Skills training is flexible, tailored every time by selecting from over 10 labs to cover all your electrical safety training needs from Operator training to Sub-Station training. Turn your training into an Electrical Qualification event that Trains, Qualifies, and Documents your personnel for specific job tasks. This is a highly customized activity and not an off-the shelf course. Clients usually achieve this level of training-qualification integration through partnered consultation and development. Call Blake and his team to discuss our process to see if it is a fit for your company. 1-800 922-2820. The employer is the only entity that can deem an employee as a Qualified Electrical Person. 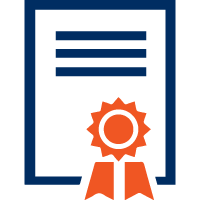 Learn the expectations, skills, and process to create a documented and defensible record of employee qualification. This course can be integrated into NTT’s Hands-on Practical Skill training. Not sure where to start – the best place is wherever you’re at. Just do it smartly. 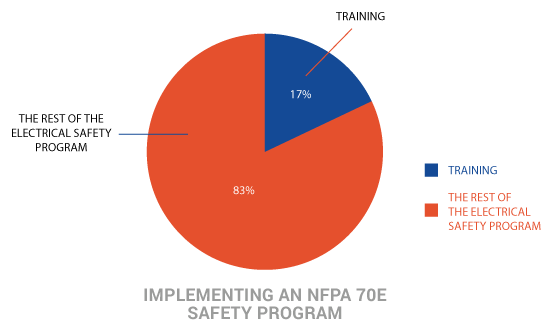 Trying to create an NFPA 70E training program. We can help you with that. But that’s just 17% of an Electrical Program. Yes, you can implement an effective and sustainable Electrical Safe Work Practices (ESWP) program. Basing it on an NFPA 70E® foundation is a good place to start. Let us show you how to fill in the blanks. This can be a course, a workshop, or a consulting engagement. It just depends on where you are and what questions you have. Ask us your questions to help determine the right next step for you. How safe is your investment in your Electrical Safe Work Practices program? Is everyone buying in? Is it sustaining? Is it effective? An audit by NTT will help you understand IF & WHERE things are working, and more importantly if not. You can call Blake to discuss what’s happening at your site to see if an audit might be right for you. 1-800 922-2820. Let’s be clear. OSHA does not accept CBT or On-line only training solutions for life safety issues like Electrical Hazards. However a blended learning approach that combines On-line and Instructor-led training not only works, it works better than Instructor-led only training. NTT’s Skill Circuit LMS was introduced in 2009 to augment our hands-on Electrical Qualification oriented training and has been used by thousands of workers. Is it ok to “pass” a worker who scores 90% on a test? What if it’s that last 10% that may kill them. People guess on tests, and sometimes get lucky and guess correctly. Do they “know” what to do in the field? NTT’s on-line electrical safety training includes the MASTERY TUTOR – a unique feature that helps solve these safety issues. Call us to ask questions to see if Skill Circuit on-line may be a fit for you. 1-800 922-2820.